NEEDHAM, Mass. 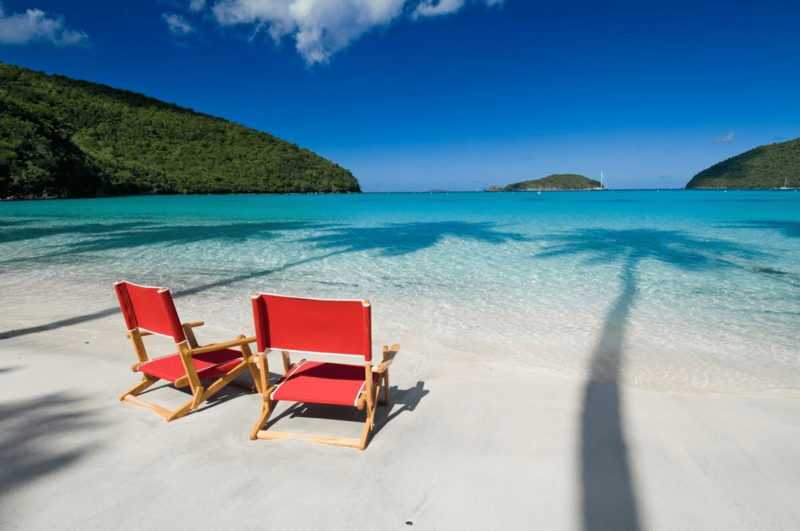 – The most trusted name in online travel advice has named a Virgin Islands beach to its top 25 list of the world’s best beaches. Maho Bay beach in St. John, which is part of the Virgin Islands National Park, was ranked No. 11 in the world by TripAdvisor based on actual visits by tourists. Maho Bay beach is “one of the beaches that live up to the hype of the brochures and travel guides,” the online travel advice website said. Some of the things people enjoyed most at Maho Bay was seeing the nurse sharks, the great photo opportunities and that it was excellent for children. Overall, the St. John beach had a definite “wow” factor. TripAdvisor has named the most stunning stretches of sand in the world – and it’s Turks and Caicos in the Caribbean and Brazil that take the top two spots in the review site’s Travelers’ Choice Awards 2016. The winner is the seven-mile-long beach at Grace Bay, and with its turquoise water and powdery snow-white sand it is clear to see why. Second place was taken by Brazil’s beautiful Baia do Sancho, on the island of Fernando de Noronha, which took first place in the awards last year. Paradise Beach, known locally as Playa Paraiso, on Cayo Largo del Sur, in Cuba, was also voted into the top 10, along with Cayo de Agua in Venezuela. Leading the way for Europe was Playa de Ses Illetes on Formentera, Spain, which is a favourite of the rich and famous, who often moor up their yachts at the beach to make the most of its crystal clear water and nearby celebrated seafood restaurants. The paradisal beach was not only named the top beach in the continent but also ranked seventh in the world. Not one entry from the top 25 beaches in the world or Europe was from the UK. Woolcaombe Beach, in Devon was named Britain’s best. Travelers’ Choice Beaches Award-winners were determined based on the quality and quantity of traveler reviews and ratings for beaches on TripAdvisor gathered over a 12-month period.